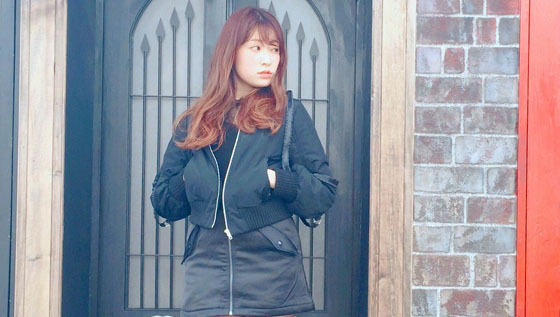 NMB48 member Yoshida Akari uses her Twitter account to announce she will release her 2nd Beauty Photo Book. 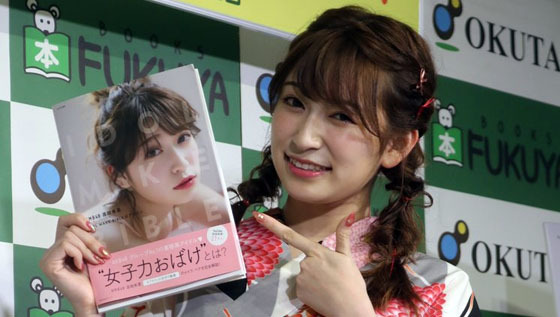 YouTuber and NMB48 member Yoshida Akari first solo photo book "IDOL MAKE BIBLE @ Akarin" sold 17,145 copies in it first week, and ranks 1st place on ORCON Photobook's Weekly Chart and 8th place on General Book Weekly Chart. NMB48 member Yoshida Akari announces on her official Youtube channel, she will release her beauty photo book "DOL MAKE BIBLE @ Akarin" on 18 July 2017. 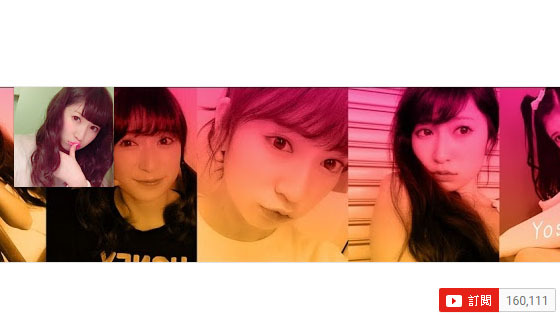 NMB48 member Yoshida Akari's beauty tips Youtube Channel "Akarin no joshiryoku video" got over 200,000 subscribers, and one of her episode has over 1 million views. NGT48 member Nakai Rika and NMB48 member Yoshida Akari will be cover girls of Japanese magazine "My Girl" (Bessatsu CD&DL Data) vol.17, the magazine will be released on 31 March 2017. 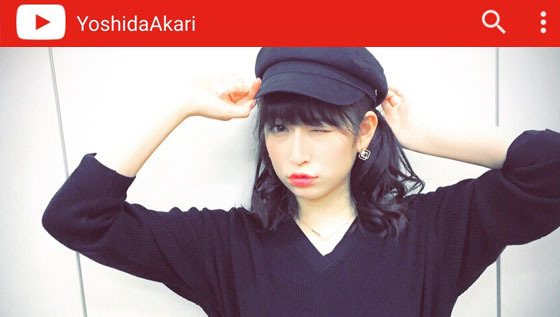 NMB48 member/YouTuber Yoshida Akari told her fans on Twitter at 7 March 2017, that her official Instagram has over 200,000 followers. NMB48 member Yoshida Akari participated a Children Job Experience Facility "Kandu Studio" ribbon-cutting ceremony in Aeon Mall Makuhari New City on 3 March 2017. 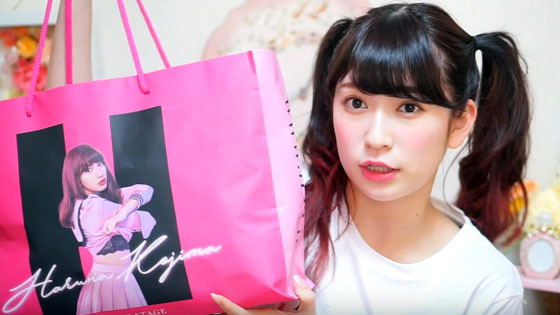 AKB48 member Kojima Haruna opened her Osaka pop-up store "22;market", and NMB48 member Yoshida Akari visited her store and made a product review on her YouTube channel. NMB48 member Yoshida Akari's Beauty Tips Youtube channel "Akarin no joshiryoku video" got 160,111 Subscribers on 27 January 2017. Yoshida Akari opened the channel in February 2016. 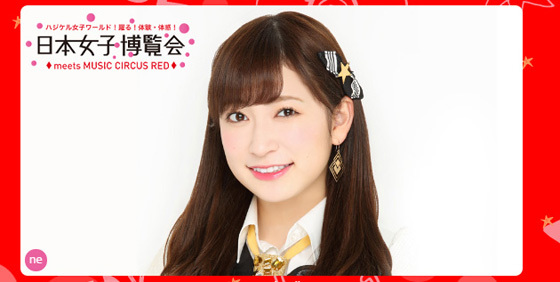 NMB48 member Yoshida Akari will participate in JAPAN GIRLS EXPO 2016 (meets MUSIC CIRCUS RED), the event will be held in 23 October 2016.